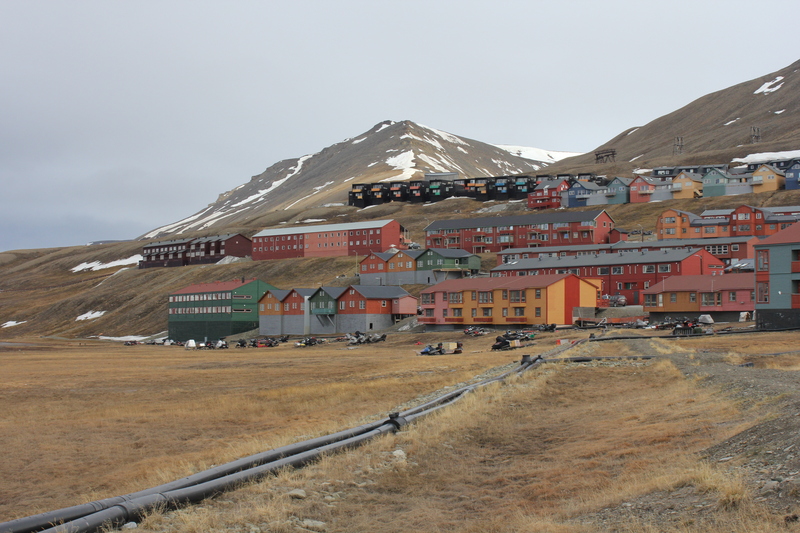 The city map of Longyearbyen is colored according to the secure areas without polar bear protection – the darker the color, the safer is to walk around. 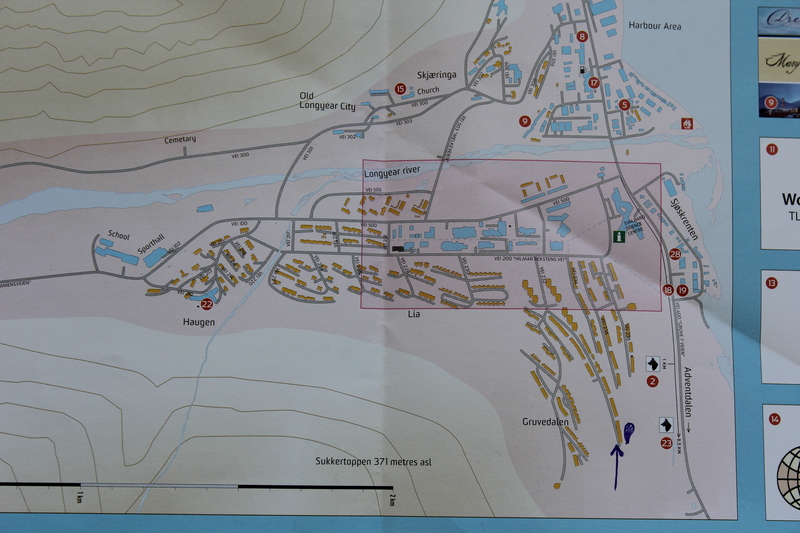 The house where I am located is one of the last houses, between the Sukkertoppen hill (371 m) and the shore (last dark brownish house in the middle row on the map). It is an area, colored in light pink, between intensive ‘secure’ pink (down town, around 1 km) and almost white, ‘unsecure’ color. I picked up some horror stories already before my travel about some accidents with the polar bears happened here. This light pink color on the map is a reason for my some kind of light fear, although I am surrounded here by the images of very friendly looking polar bear. It is here everywhere – welcoming people in the airport, standing on the main road in the front of the tourist shop, advertising a local supermarket or looking at you even inside of the church and hospital. Polar bear spends most of its time on the ice, but as far as I cannot see any ice floating in the Adventfjord of Longyearbyen, I can imagine that these marine mammals (as some define them) or not mammals (as others would say) may be trapped on the land at this time of the year. Polar bears don’t have any enemies and have very pointed teeth and claws, which are ideal for catching and eating for example seals, as it is written on the information poster in the museum. Without ice, a polar bear cannot hunt seals the way that it normally does, say experienced people. Seals are most important source of food for the bear, but still, I am looking around walking in the not ‘pinky’ area. 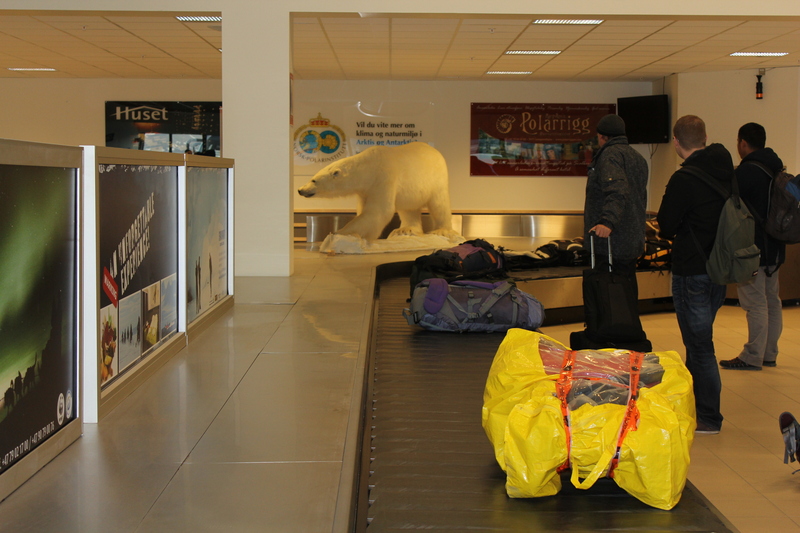 However, almost all of the ‘locals’ (actually, they all are outsiders) to whom I talked in these days did the same when they arrived to Svalbard for the first time. Still, there are more polar bears as inhabitants of Svalbard – around 3 500 bears compared to around 2.753 people. ‘Never look polar bear in the eye’, reminds me the title of the book that I found in the local library. 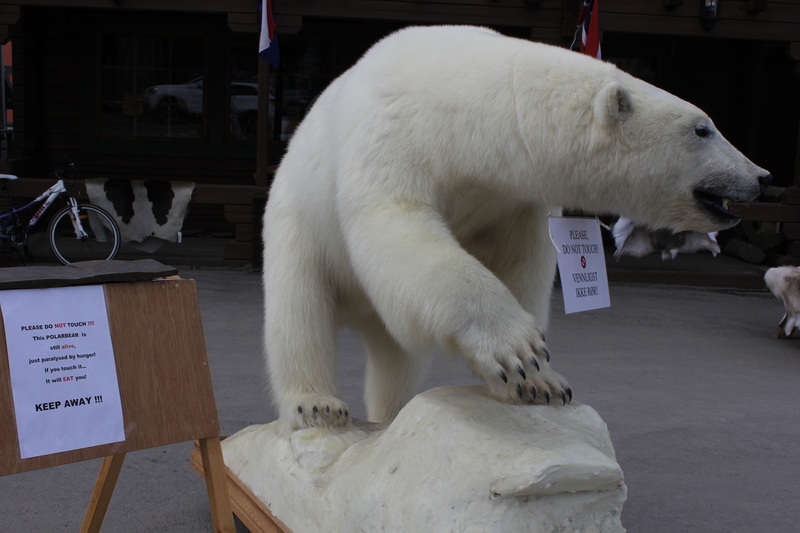 A tourist guide warns: ‘The polar bears are very curious and very fast. You know that if one chases you, there will be only one winner’. 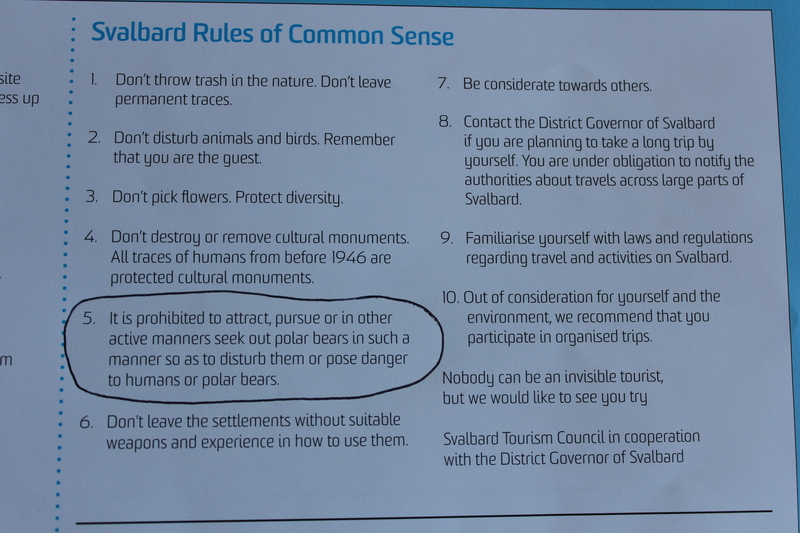 Svalbard Rules of Common Sense printed on the city map appeal: ‘Do not leave the settlements without suitable weapons and experience in how to use them’. Both of the last points do not apply to me. Maybe, this potentially risky surrounding is one of the strong identity markers for the community of ‘Svalbardianers’? To balance all my fears, but in a deep respect to the polar bear, I bought a sweetest baby polar bear soft toy. With its big eyes and fluffy fur it looks very familiar to me. This entry was posted in All, Announcements, Fennoscandia, Fieldwork. Bookmark the permalink. Have a safe trip Anna!